If you've retired or are over the age of 65, hopefully you're able to spend some time relaxing. You've certainly earned it. But there is one area of your life that you shouldn't be relaxed about, and that's protecting your skin. A new study from Cancer Research UK explains why. It found that people over 65 are seven times more likely to suffer from malignant melanoma than they were 40 years ago. In fact, in the UK, males over 65 are 10 times more likely to be diagnosed with melanoma than the previous generation, while females are five times more likely. On average, 5,700 people over the age of 65 are being diagnosed with melanoma on an annual basis in the UK versus 600 just 40 years ago. The researchers speculate that this spike in melanoma rates could be the result of an increase in cheaper vacation packages starting in the 1960s. This generation embraced these deals — and the myth that suntanned skin was attractive. Unfortunately, getting just one sunburn every other year can triple your risk of developing melanoma. This information simply wasn't available four decades ago, but now we know better. Cancer Research UK's head of information, Dr. Julie Sharp, said, "Many cases of malignant melanoma, the most serious form of skin cancer, are preventable by taking precautions in the sun and making sure you don't burn." If you know you were lax in your sun protection for years, it's never too late to start. And there's more good news: You can actually incorporate foods in your diet that will not only fight the sun today but also help keep you safe from the damage caused years ago. Antioxidants can combat the free radicals that lead to cancer, so it's important to include a wide variety of them in your diet. Some of the best nutrients for a healthy-skin diet include beta-carotene (found in spinach, kale, and yellow and orange vegetables such as sweet potatoes and carrots), lycopene (found in red foods like tomatoes, watermelon, and papaya), lutein (found in spinach, kale, peas, Brussels sprouts, zucchini, broccoli, egg yolks, and even pistachios), epigallocatechin gallate — ECGC — and polyphenols (found in green or black tea, cocoa, garlic and herbs such as turmeric, rosemary, thyme, and oregano), flavonoids (found in citrus), and elegiac acid (found in red raspberries), glutathione and vitamin E (as found in avocados), beta glucans (found in mushrooms, such as shiitake and reishi), and proanthocyanadins (found in cocoa and grape seeds). Cruciferous vegetables, such as cauliflower and cabbage are also great choices. And last but certainly not least — watercress. Watercress contains a special mustard oil called PEITC or Ophenethyl isothiocyanate, as well as vitamin C and lutein — all of which have significant antioxidant fighting powers. Eating fresh watercress (organic preferred) daily can significantly reduce red blood cell DNA damage. DNA damage in blood cells is a general indicator of a person's overall cancer risk. One study found that consumption of watercress increased study participants' blood levels of lutein and beta-carotene by 100% and 30% respectively. You can't completely reverse the damage you may have done years ago, but you can do your best to combat it. And you can certainly be careful not to make it worse. 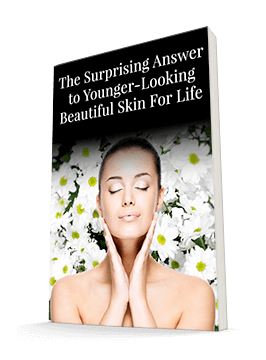 If you spent a bit too much of your leisure time out in the sun in your younger years, make up for it now by working hard to keep your skin as healthy as possible. If you see anything that looks suspicious, have your dermatologist check it out right away. 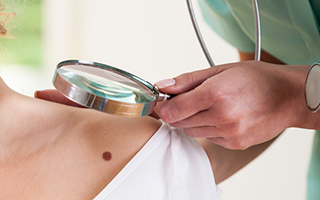 Early detection makes a huge difference in melanoma outcomes.